I noticed that the granules should not be completely flat and linear – there should be a little bit of “clumping”. If you grind and the machine spurts out too quickly, then you will get lots of powder everywhere – that’s your first warning. Counter this by making the grind a little bit finer until you see some clumps. I am aware that this is ideal for my less than $300 machine, but perhaps for the $1,000 stuff, this might be different as the granules should be completely uniform to get all those wonderful tastes in a cup of coffee. 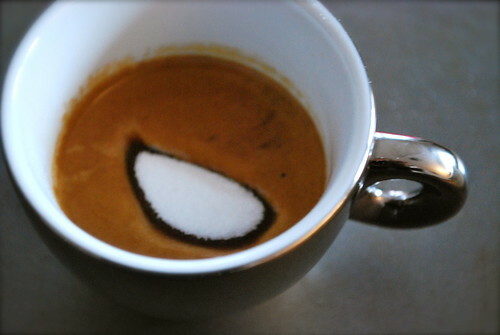 As an avid drinker of espresso, although I naturally found the Mocca sweetish, it was not as bold as I would like, but when mixed with milk, it was scrumptious. 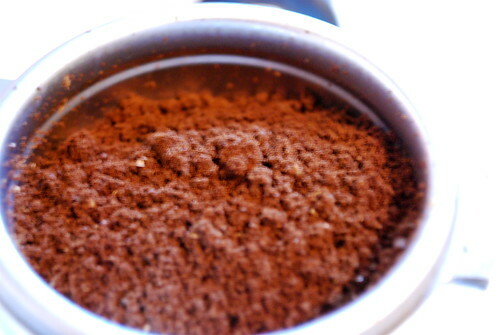 Also, the smell and the colours are so rich, they just typify coffee to the max, see below for colour but not smell….. This coffee bean refused to sink and I had to remove it before drinking. 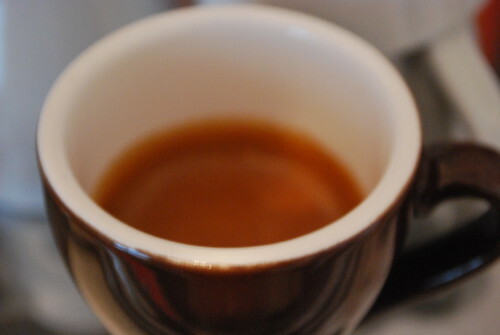 I think the colours are just amazing and this is the thickest crema I’ve got so far this year. And of course, as it is ideal with an espresso milk based drink like cappuccino, the velvety smooth micro-foam milk just worked and was visually pleasing to the eye. Here, I’m just trying something different to make my cappuccino look good before it makes contact with my lips and tummy. 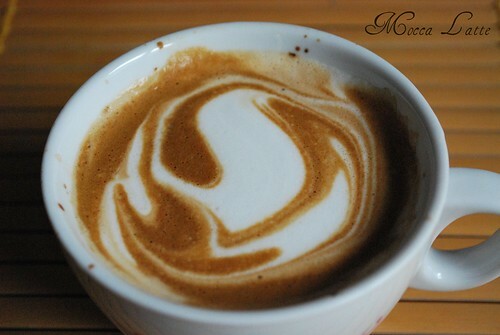 Anyway, if you can find it, try a mocca coffee. They are still very rare and upon my return to Alt Wien to buy another 500g bag, there wasn’t any, sadly to say, but I was promised that more would be in the following week. 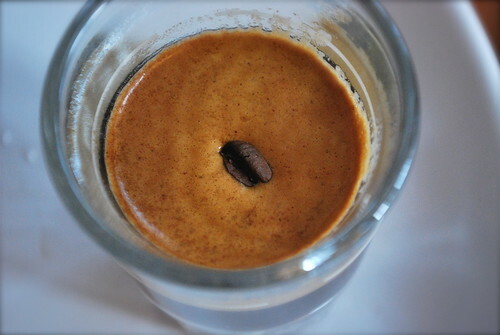 This entry was posted on Monday, November 3rd, 2008 at 11:32 pm	and tagged with Costa Rica, mocca brown coffee espresso latte beans sugar, nicaragua, yemen and posted in Bean Talk - Coffees, I'm Drinking. You can follow any responses to this entry through the RSS 2.0 feed. « New Theme, New Dream..